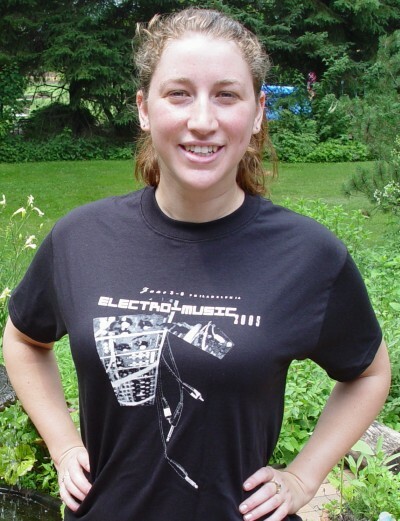 We only have a few tee shirts left from electro-music 2005. The event was not just a great music festival, but a moving personal experience for those who attended. These tee-shirts are physical manifistations of these experiences. These shirt were designed by Jeremy of Diana Behlke. 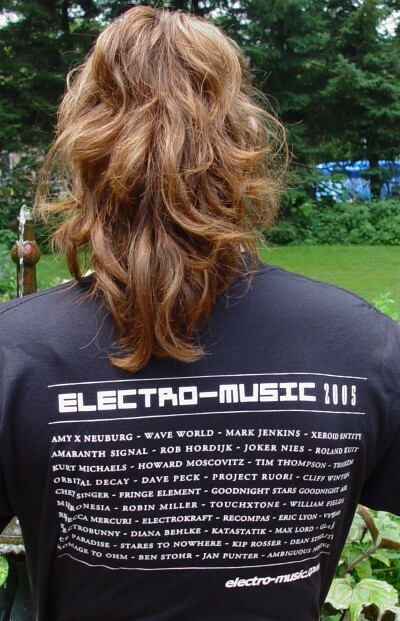 On the front is a nice graphic with the words: July 3-5 Philadelphia - ELECTRO-MUSIC 2005. On the back is printed the names of the performing artists. The shirts are well made 100% cotten. While they last we have shirts in American sizes L, XL and XXL. Please make sure you indicate the size when you order. Thanks to Genevieve for such beautiful modeling. This product was added to our catalog on Wednesday 20 July, 2005.